A dynamic luxury coupe in every aspect, the new Lexus LC 500 is a new significant illustration of Lexus’ dedication to create cars with exciting, emotional designs and exhilarating performance. The LC displays luxury coupe proportions with an exterior design that projects pure elegance, remaining faithful to many of the defining features of the LF-LC concept car that inspired it. The luxury coupe’s athletic profile is characterised by its sweeping roofline, which tapers rearward from above the centrally positioned cabin to create a distinctive silhouette. Chrome-plated mouldings along the side of the glass roof amplify the elegant coupe profile, the rear edges shaped to echo the lines of a traditional Japanese sword. The blacked-out finish to the roof and rear pillars creates a coating effect that visually separates the roof from the rear spoiler. 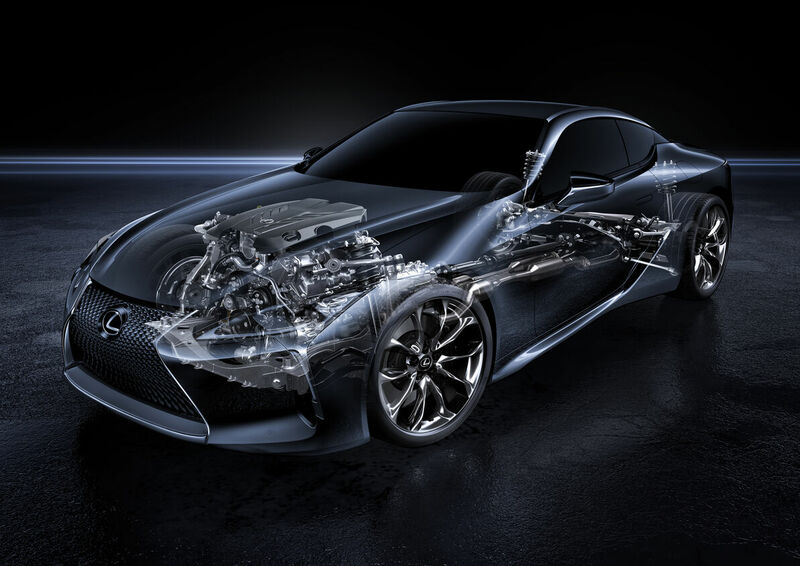 Even for the aerodynamics, Lexus has ensured that the LC achieves a smooth, unbroken front to rear a‍‍‍irflow both over and beneath the body. Design elements that help control and direct the airflow include small but critical aero stabilising fins on the front pillars, just forward of the door mirrors. A 5mm difference and position is all it takes to boost the car’s handling and level of wind noise. The dynamic luxury theme of the exterior is carried through into the LC’s cabin, designed to provide both a high degree of driving pleasure with its combination of elegance and a superb comfort, sophistication and intricate attention to detail with a driver-focused cockpit. The area around the front passenger spreads outwards to create a comfortable and welcoming space. In fact the owing line of the door trim is an extension of an exterior line that flows from the hood and through the windscreen, bu‍‍‍ilding a sense of continuity between the outside and inside of the car. The driver’s cockpit has been ergonomically designed to instil confidence and invite spirited driving, with an intuitive layout of the controls and an excellent seating position. the driver’s hip point has been located as close as possible to the coupe’s centre of gravity, maximising direct feedback of the vehicle’s dynamic performance. Drivers will also enjoy an excellent view of the road, leaving no compromises by the low seating position due to the low hood line, the low-profile instrument panel and the location and narrow width of the front pillars. The shallow height of the instrument panel has been helped by the development of a compact air vents. Throughout the cabin the quality and finish of the upholstery, trim materials and detailing reflect the Takumi craftsmanship and fine attention to detail for which Lexus is renowned ever since. 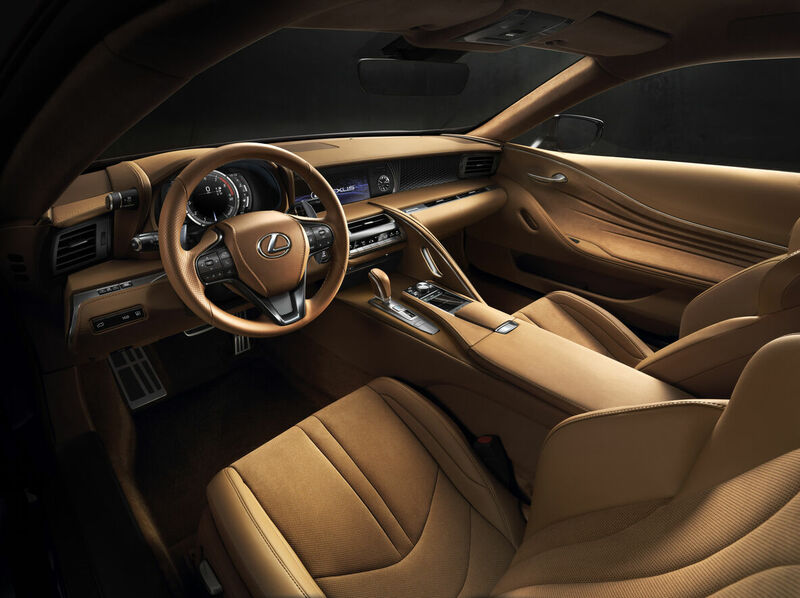 Witness the hand-stitching done at the leather gearshift lever, the draping treatment of the Alcantara door panel trims and the discreet use of the Lexus L motif in areas such as the face of the analogue clock and even the tactile raised surfaces of the air vent controls. Providing the driver with a seat with the best possible combination of support and comfort was a focus point in the development of the LC’s cabin. Chief engineer Sato-san himself was involved in the process for developing a new design that went through an exhaustive 50 test cycles. The LC is the first car to be developed on Lexus’ new front-engined and rear-wheel drive Global Architecture, which is known as the GA-L platform, the quality of which gives Lexus the freedom to take design and a performance to another level, fundamental to its future direction as more emotionally driven brand. The goal of obtaining emotional driving dynamics has been achieved by ensuring exceptional body rigidity and c‍‍‍areful management of the inertia specifications. To create a strong frame that helps provide robust cabin integrity, the non-deforming parts are made of ultra-high-tensile strength steel, while high tensile steel with elastic properties is adopted for elements that are designed to deform in an impact to dissipate energy. Speaking of rigidity, the frame is supported by general steel with a high degree of stiffness, and aluminium is used strategically for its excellent energy-absorbing performance and for external bodywork where its lightness and tensile rigidity are of value. As a result, the LC features a strong yet lightweight Carbon Fibre Reinforced Plastic (CFRP) elements inside and out. The LC 500 is powered by a 5.0-litre normally aspirated V8 petrol engine, matched to a new state of the art 10-speed automatic transmission – which is a first for a premium passenger car. Generating maximum power of 470bhp and 540Nm thanks to an optimised intake and exhaust layout and engine control, the LC returns a rapid and rhythmic acceleration that is also accompanied by an engine sound that musters a dramatic note. Designing the system to deliver the highest listening experience in the LC presented new challenges, as sound reacts differently in the compact cabin of the 2+2 coupe compared to a larger saloon or SUV. 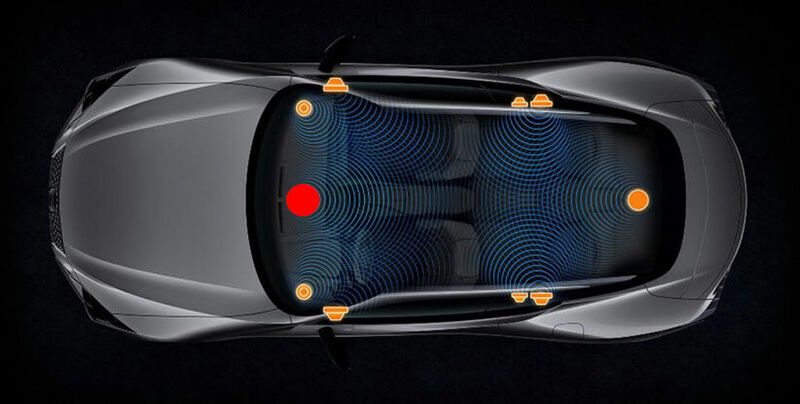 In order to overcome this, Mark Levinson specialists measured the sound frequencies produced in various parts of the cabin using 24 different microphones, producing data that helped them work with Lexus engineers to precisely locate the 13 speakers. To support Lexus’ philosophy when it comes to reducing overall vehicle weight, Mark Levinson engineers reduced the mass of the speakers achieving a 30-percent overall reduction compared to the Lexus LS, without compromising performance. 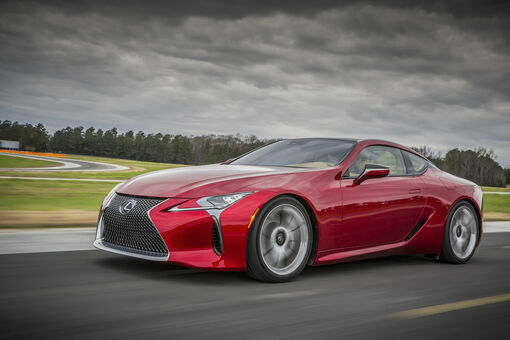 With this, Lexus has managed to shed off 136grams for each comparable speaker. Besides that, the Mark Levinson speakers in the LC feature Ceramic Metal Matrix Diaphragm (CMMD) cone material. By sandwiching an aluminium driver between layers of a ceramic compound, sound can travel nearly twice as fast through the cones with better damping, producing a sound that is a near exact replication of the original recording. A must for all Lexus’, the LC comes with Lane Departure Alert (LDA), Blind Spot Monitor with Rear Cross Traffic Alert (RCTA) as standard. And to work things together in perfect harmony, the LC also gets the Vehicle Dynamic Integrated Management (VDIM) system, and a limited-slip differential derived from the experts at Torsen.